The Rising Star Music Fund and Belmont University School of Music are partnering to create a free community choir for children with autism. The goal of the choir, which will be an initiative of Belmont’s music therapy program, is to provide a successful choral singing experience for people with autism and other developmental disabilities who are between the ages of 8 and 13. The choir will provide young members of the autism community with opportunities for music learning, performance and camaraderie with peers, and every semester will culminate with a performance for family, friends and the community. Nashville Music Therapist Carrie Friddell, MT-BC, will direct the choir with assistance from Belmont music therapy students. There are no auditions for the choir, which is anticipated to be between 20-25 students who will be accepted on a first come, first serve basis. In addition, the music therapy program is also partnering with the Nashville Ballet on a free weekly “Wiggle Giggle Grow” group for infants and toddlers with special needs and their caregivers. A variety of activities—including singing, dancing, playing instruments and reading books—will be offered to assist in working toward important developmental milestones. Started in fall 2014, Belmont’s music therapy program is directed by Dr. Alejandra Ferrer, MT-BC, and currently boasts more than 70 majors. In addition to the program’s challenging coursework, junior and senior level music therapy students also actively engage in clinical practicum in the Nashville community. Current clinical sites include Monroe Carell Jr. Children’s Hospital at Vanderbilt, Parthenon Pavilion at Centennial Medical Center, Alive Hospice, Morningside at Belmont and Harris Hillman Special Education School. Registration and a meet and greet session for the choir will be held Sun., Jan. 10 at 2:30 p.m. Massey Performing Arts Center (Room 12) on Belmont’s campus with rehearsals being held every Sunday in the same location from 2:30-3:30 p.m. Jan. 17-April 17. The first public concert is scheduled for Sun., April 17 at 3 p.m. The Wiggle, Giggle, Grow music therapy class for infants and toddlers will meet on Fridays from 3-3:45 at Nashville Ballet (3630 Redmon Street) from Jan. 15-March 4. 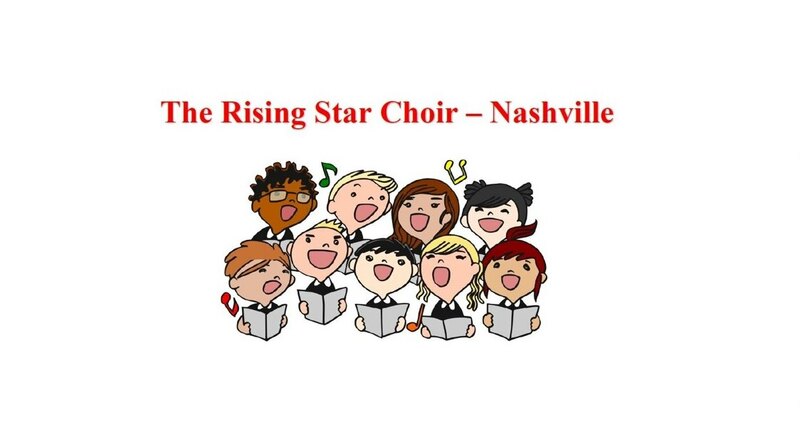 For additional information on the Rising Star Choir, contact risingstarchoirnashville@gmail.com. For additional information on the choir, the infant/toddler class or Belmont’s music therapy program, contact Dr. Ferrer at Alejandra.ferrer@belmont.edu. The Rising Star Music Fund is a 501(c)(3) public charity dedicated to supporting music education, encouraging the study and making of music, and providing opportunities for children with special needs or in under-served communities to access well-balanced, comprehensive, and high-quality programs of music instruction.